Start your review of Clark Hamilton. Send a message to Clark Hamilton. Thank You! 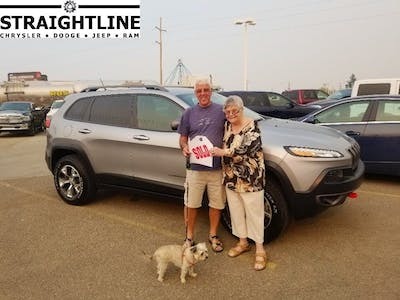 Your message has been sent to Clark Hamilton at Straightline Chrysler Dodge Jeep Ram. 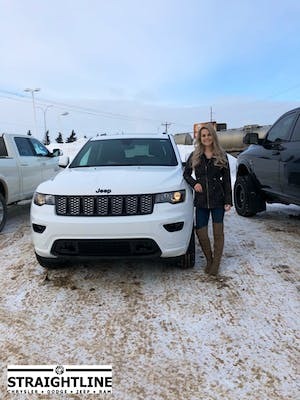 I visited Straightline to discuss trading in my 2015 Ram that I purchased there for a new jeep. Jake sat down with me to tell me all my options and a deal was struck. These guys are so incredibly professional and truly care about making their client happy...I wanted purple so they found me purple:) I am extremely happy and highly recommend Straightline to anyone looking to be treated with respect. everybody was very pleasant and helpful Brandon helped out with picking the right model for us. 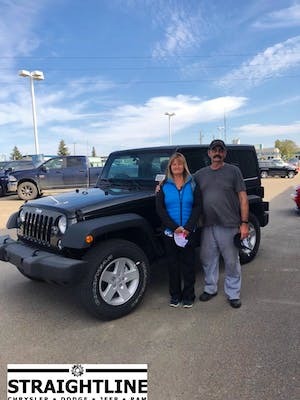 Karen was very helpful with financing I would recommend this dealer to others. We were pleased to do business here. Chad, Brandon and Amber answered all our questions and concerns. There were no high pressure to buy, they let us take our time. We will come to see them first when we decide to purchase another vehicle. It was a real pleasure doing business at this dealership. Thank you all !! "Great team at Straightline in Fort Sask"
It was an awesome day! 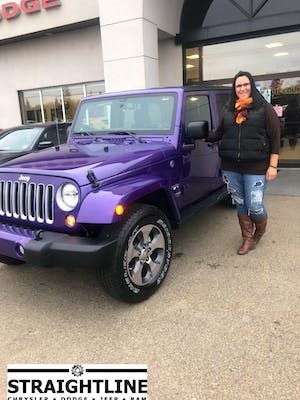 I couldn't be happier with the Jeep - been wanting to move up a level for awhile and Jake, Dan, Clark and Karen all made it happen pretty quick - nothing quite like taking a beaut home out of the showroom! Thanks to the team at Straightline! I went in to speak with Clark (co-owner) about buying a new Jeep, but no idea what I had wanted. 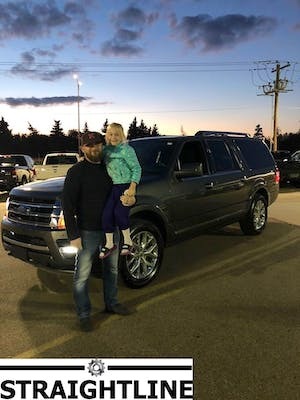 Chad Hogan was my sales guy- best salesperson ever. Why you ask? He is exactly what you would want in a salesperson: patient, kind, respectful, super chill, very knowledgeable, great sense of humor, & he's ultimately a guy you just want to just go have a beer with. Amber was the finance person who took care of me, and she was amazing too- professional, kind, caring, and answered all of my many questions. Dan also helped with moving things along & making sure things were running smoothly. The only area I didn't deal with was the service side, but everyone one else including management was excellent. I would highly recommend this dealership.